At noon on the first day of this year, a few hundred people gathered at a cemevi (place of worship for Alevis) in Istanbul. 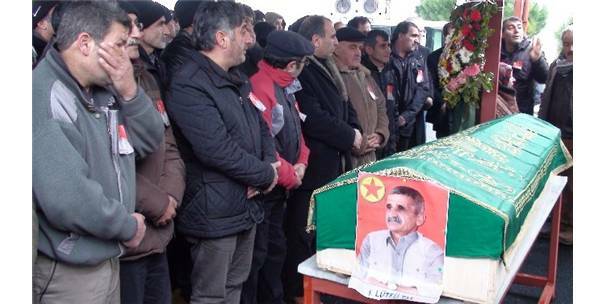 They were there to pay their last respects to their friend and comrade Lütfü Taş. He died on the last day of 2014 in Diyarbakir prison. He had been sick for years, but despite repeated requests to the authorities to let him die among his loved ones outside prison, the state would not give way. 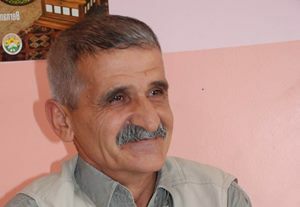 Lütfü Taş was incarcerated there after he came back to Turkey from the Qandil mountains in 2009, as part of the so called ‘peace group’. They came to Turkey from Qandil and Maxmur Camp to support the newly started ‘Kurdish opening’, and were not only cheered at Habur border gate by thousands of Kurds, but welcomed by the government as well. I checked the news reports from those days. Besir Atalay, Interior Minister at the time, said: ‘We expect the initial group arriving to reach 100-150 people. We are advancing towards a solution with a good plan’. And then PM Erdogan, in a speech to his party members in parliament: ‘I renew my call to all those in the mountains, those in Makhmour camp and those in Europe: I recommend to them that they return to their country without losing any time’. In June 2010, several members of the group were arrested. This was of course not part of the deal, but the state backed out of the initiative after Turkish society reacted more harshly than expected to the Kurdish festivities at the Habur border gate. Many consider the victorious atmosphere at Habur a mistake on the part of the Kurdish movement. I think it showed the lack of vision on the part of the Turkish government, or at least the lack of courage to stand for the vision they may have had at the time. 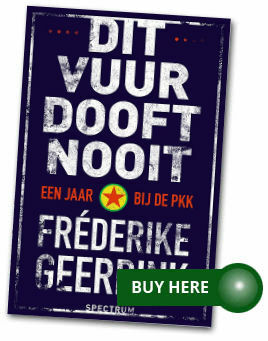 I mean, if you have decided to work towards solving the Kurdish issue, then it’s impossible not to take into account an increasing visibility of the Kurdish movement and the voicing of their demands. Anyway, some members of the so-called ‘peace group’ fled back to Qandil and Maxmur before they could be caught by the state, others ended up facing trial. Lütfü Taş, probably due to his poor health, did not return to Qandil. He was prosecuted, but could not attend all hearings of the trial because he was too sick. And now he has died. Far away from his comrades in Qandil, not close to his family and comrades in Turkey. I am not sure if the funeral of Lütfü Taş was the first funeral in Turkey in 2015, but I declare it that anyway. After all, what happened to Lütfü Taş is symbolic for the peace process in Turkey, and it is, I am afraid, also telling for the direction that the process will take this year. His case shows that however certain victory may eventually be for those wanting peace, in the shorter term they are not taken seriously and have many more sacrifices to make. This becomes even more apparent when you look at the ‘first baby of 2015’, which was of course not literally the first baby which was born on the soil of this land, but the baby that the Minister of Health could visit easily and which suited the message that the government chose to spread on the first day of the year. Meryem Azra in her fathers’ arms. Her mother is also there. The adorable little girl, Meryem Azra, was born in a hospital in the conservative working class neighbourhood of Zeytinburnu in Istanbul, to a very religious family in which Meryem is the third child. Exactly the way the government likes it: a stay at home mom, a couple obeying Erdogan’s call to have at least three children, who will raise their children with conservative Islamic values. In case people missed the message of the choice of this baby being the ‘first in 2015’, the Health Minister declared that women shouldn’t pursue any other career than motherhood. There we go: the government again emphasized its conservative agenda. An agenda which is diametrically opposed to the one that is necessary to reach a peace deal with the PKK and the Kurdish political movement, which represent the opposite of religious conservatism and the blatant denial of women’s rights. In his New Year’s message, Erdogan said that one of his focuses in 2015 will be the solving of the Kurdish issue. That this cannot be taken seriously in any way is made painfully clear by the first baby and the first funeral of 2015.